Medical cannabis is rapidly gaining momentum across the globe, and Tilray Inc. is pioneering the production, research, and distribution of medical cannabis. This ebook explores the world of medical cannabis, and the monumental role Tilray is playing to advance scientific understanding of the medicine. With the United Kingdom announcing that medical cannabis will be available for medical purposes, UK officials, health care providers and vendors of medical cannabis products together face the daunting task of making the products available in the nation of 66 million. 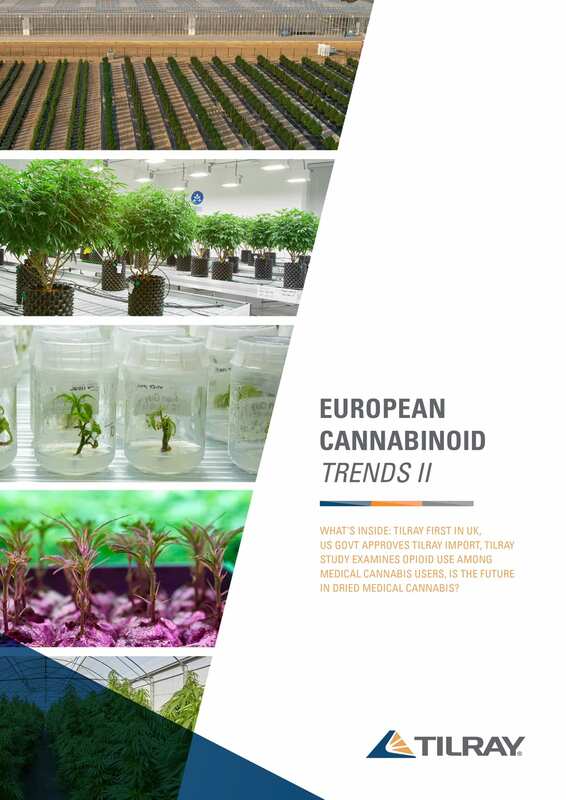 However, in the near future, Tilray will be supplying the United Kingdom and other medical cannabis markets in Europe in addition to the global markets it already supplies. To support the phenomenal growth of distribution, Tilray has formed a global alliance with Sandoz, a division of Novartis, which will enable the two renowned companies to co-operate in jurisdictions where cannabis is or will be approved for medicinal purposes. This booklet also discusses the rules, legislation and research concerning European countries such as Germany, the UK or the Czech Republic. Medical cannabis and sporting philanthropy. Tilray is committed to advancing the scientific understanding of the potential benefits and risks of cannabis-based products for medicinal use through conducting clinical research trials in collaboration with renowned hospitals, universities and governments worldwide. Tilray works collaboratively with European Union member state competent authorities to supply GMP-certified medicinal cannabis and cannabinoid products to pharmacies around the bloc. The Canadian Cannabis Act: what does it mean for legalisation elsewhere?